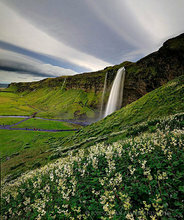 1 - 5 day private custom-itinerary tours to select areas around Iceland, for sightseers or photographers. Pricing: $700/day flat rate. Includes location guiding and photo coaching from an experienced guide, and private transport in a 4x4 vehicle. Rate is for up to 3 persons; additional persons $50/p/d. Contact me for pricing specific for your group and dates. 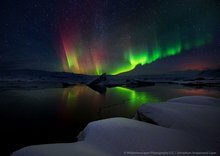 Perfect for those stopping over in Iceland on the way to Europe, as just a sightseers' tour, or for more serious photographers as well looking for advanced photographic guiding and coaching. This customizeable tour can be any duration and there are many locations to choose from for your group, including Iceland's Golden Circle, Snæfellsnes peninsula, South Coast waterfalls, 4x4 highlands adventure to the Landmannalauguer area, or even to Jokulsarlon glacial lagoon area! You can find sample itineraries below. > You can customize your own tour, seeing, experiencing, and perhaps photographing the most unique and unforgettable geographical landscapes Iceland has to offer. Pro Leader: Johnathan Esper of Wildernesscapes Photography LLC in the USA will be leading the trip. 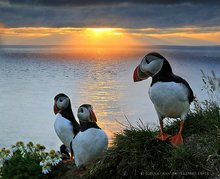 Johnathan is a full time photographer and experienced international photo trip leader, spending the last 6 winter and summer seasons in Iceland leading photo trips. Trip Details: The trip leader will discuss with you your timeframe and interests, and suggest a customized, private itinerary just for you. Once dates and deposits are set, as a free service for you, accomodation can be booked on your behalf. To Sign Up for a private tour, and request deposit payment information, please contact the trip leader through the 'contact' page on this website.